LRH-1 acts in the liver to regulate metabolism of fat and sugar and is a target for potential diabetes drugs. Biochemist Eric Ortlund and colleagues have obtained analogous results in their study of how potential diabetes drugs interact with their target, the protein LRH-1. Their research, published in Journal of Biological Chemistry, shows that making small changes to LRH-1-targeted compounds makes a big difference in how they fit into the protein’s binding pocket. 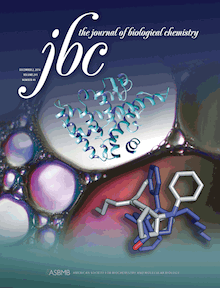 This research was selected as "Paper of the Week" by JBC and is featured on the cover of the December 2 issue. The first author of the paper is Suzanne Mays, a graduate student in Emory’s Molecular and Systems Pharmacology program. Ortlund is associate professor of biochemistry at Emory University School of Medicine. Nathan Jui, PhD, from Emory's Department of Chemistry and scientists at Scripps Research Institute in Florida also contributed to the paper. "We were surprised to find two synthetic activators that are structurally very similar to each other interacting with LRH-1 completely differently," Mays says. "They can rotate nearly 180 degrees relative to each other in the binding pocket. This may explain why small changes to this class of molecule had unpredictable effects in previous studies."